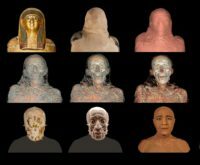 After more than two years of study, researchers at the National Archaeological Museum of Spain have discovered the identity of a mummy that has been part of the museum collection since the twenties: Nespamedu, a priest and doctor to Pharaoh Ptolemy II or Ptolemy III. It is not known where the mummy was unearthed. It was donated to the museum in 1925 from the family of Ignacio Bauer. Bauer had acquired it from the Museum of Cairo at an undetermined time. Current research suggests Nespamedu was buried in the ancient necropolis of Saqqara where elite nobles were still being interred in the Ptolemaic era. 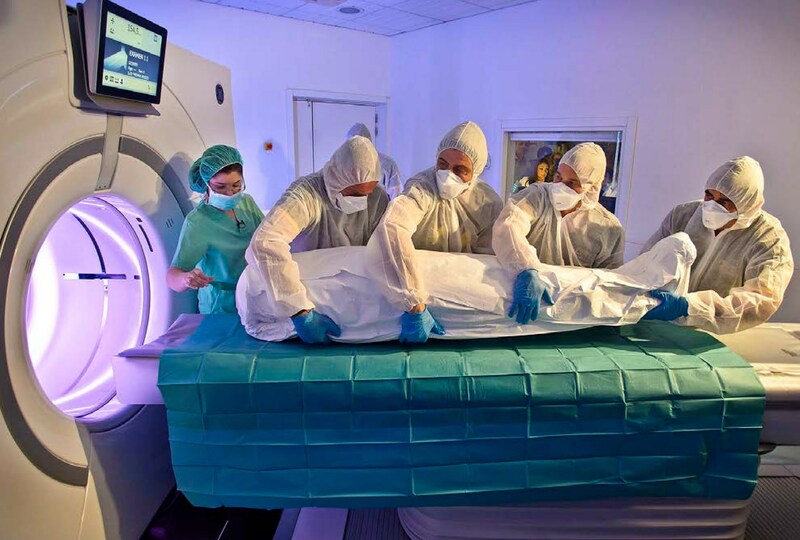 In order to find out more about the person inside the bandages, the mummy was transported to Madrid’s Quirónsalud University Hospital in 2016 where it was given extensive computed tomography scans. The remains date to around 300-200 A.D. and the individual was around 50 years old when he died. His body was carefully mummified and coated in a thick layer of resin to preserve it. It was then wrapped in many feet of linen strips, thinner around the head, thicker in the abdomen, lower back and legs to fill in and even out the body. Resins and oils were applied to the first layer of linen, and numerous amulets nestled in key positions before the body was wrapped in a second layer of linen and then a full-body shroud. 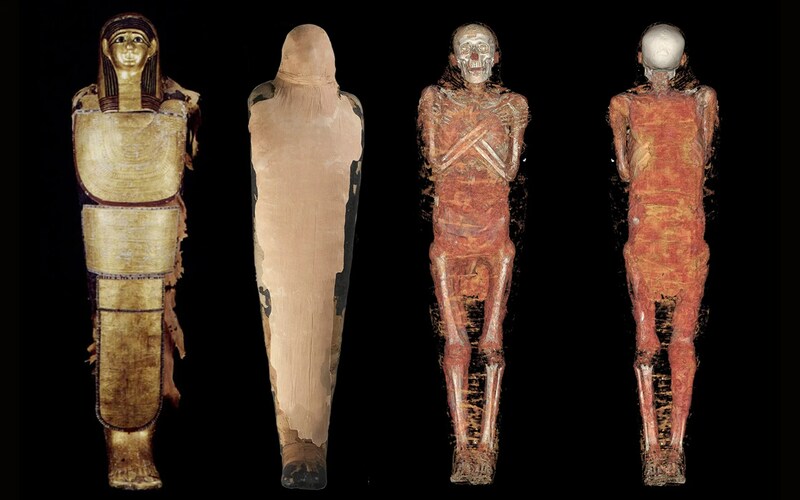 Mummification complete, Nespamedu’s body was covered in expensive gilded cartonnage — linen coated in plaster — which has survived in excellent condition. There are five sections of it, a funerary mask, a collar, a breastplate, a single cover for both legs, and feet covers. The first and last of these entirely encase the head and feet. The cartonnage sections are decorated with paint on the surface and reliefs and appliques of religious iconography and inscriptions were embedded in the plaster. 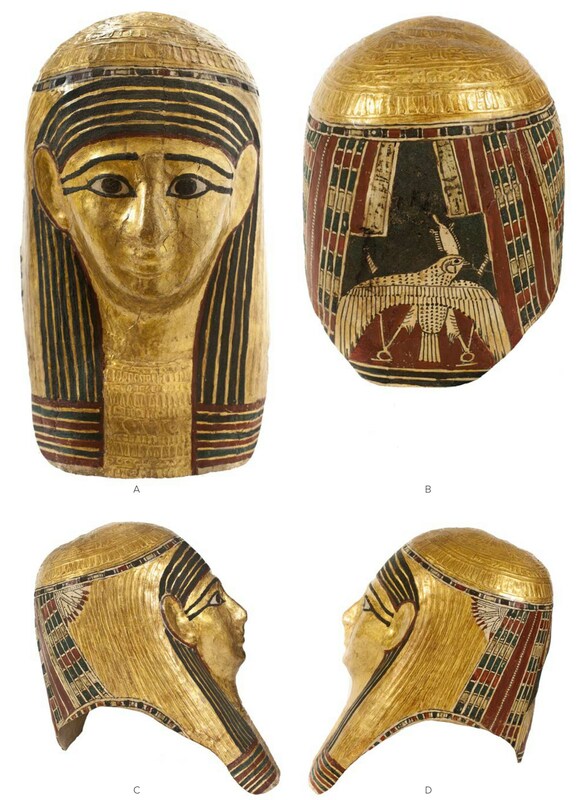 The inscription on the breastplate names the mummy as Nespamedu, meaning “He who belongs to the scepter,” son of Pasenet his father and the lady of the house Tahutnetcher his mother. Nespamedu’s titles are “Server of Imhotep the Great, son of Ptah,” and “Pharaoh’s doctor.” The former title refers to him having been a priest at the temple of Imhotep. The historical Imhotep was chancellor to Pharaoh Djoser and the builder of the step pyramid, but over the centuries he was deified and associated with Thoth, god of architects and scribes. He was still worshiped under the rule of the Ptolemies, only with a twist: the Greeks associated him with Asklepios, god of medicine. There were at least three temples dedicated to Imhotep/Asklepios in Egypt, one in Memphis, one in Philae and one in Thebes. The temples were sanitariums, containing pools of sacred water in which the sick would be submerged as they awaited a divine cure. The pharaoh’s doctor was at the top of the temple hierarchy. He was in charge of establishing the standards of education and religious practices. So Nespamedu was not just a priest at the sanctuary of Imhotep/Asklepios, he was the high priest and leader thanks to his second exalted title. 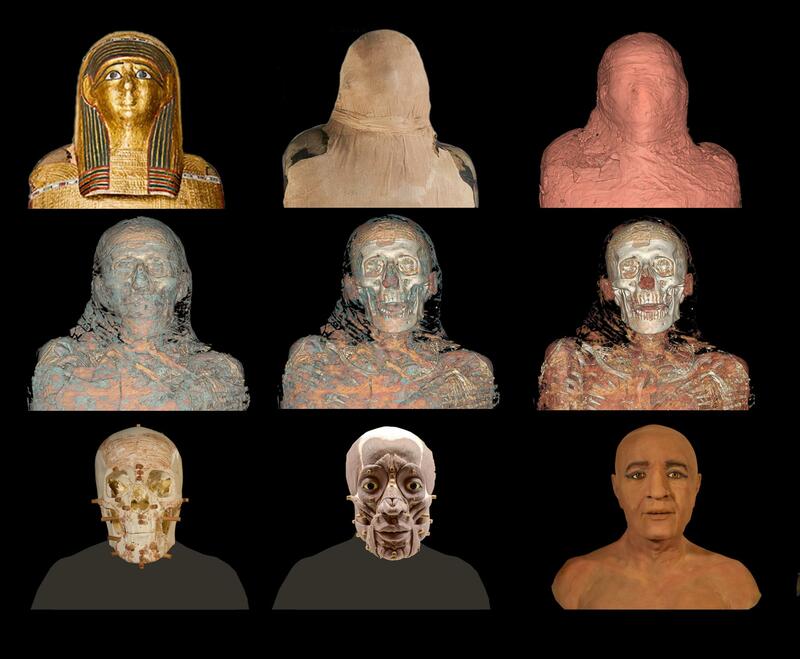 While there is no conclusive evidence of a medical specialty, based on the amulets inserted between the linen layers and clearly seen on the CT scans, researchers think Nespamedu may have been an ancient Egyptian version of an ophthalmologist. [I]t is the charms and plaques stored within his bandages that are the most revealing. Two groups of eight plaques have shown up on different parts of the mummy in which the four sons of the deity Horus are represented. Another two plaques feature the goddesses Isis and Nephthys, while representations of the mummification of the corpse together with the god Anubis were found at the top of Nespamedu’s legs. There are also two plaques featuring the god Thoth and the Eye of Horus, symbolizing magic, protection and purification together with a solar symbol that stands for cosmic stability. Thoth is the god of ophthalmologists, as it was he who put Horus’ eye back after he lost it in his battle with Set.